Sign up to receive updates from Catch Culture featuring the best Style, Active Lifestyle and Tech & Gaming posts. Catch Culture is your daily fix of retail therapy from Catch Of The Day. Latest posts feature technology & gaming trends and active lifestyle inspiration to get you through the day! You'll also find loads of shopping guides and bonus content from Catch HQ to take you behind the scenes and into the silly culture of Australia's #1 eCommerce Site! Inspired by pure femininity and gorgeous florals, pink hues are perfect for make up tones and accessory pieces from hot pink vibes to softer pastels. Whether you’re after a boldly glamorous look or a pretty, subtle hint of colour, pink is the ultimate colour for girly girls and edgy fashionistas alike! 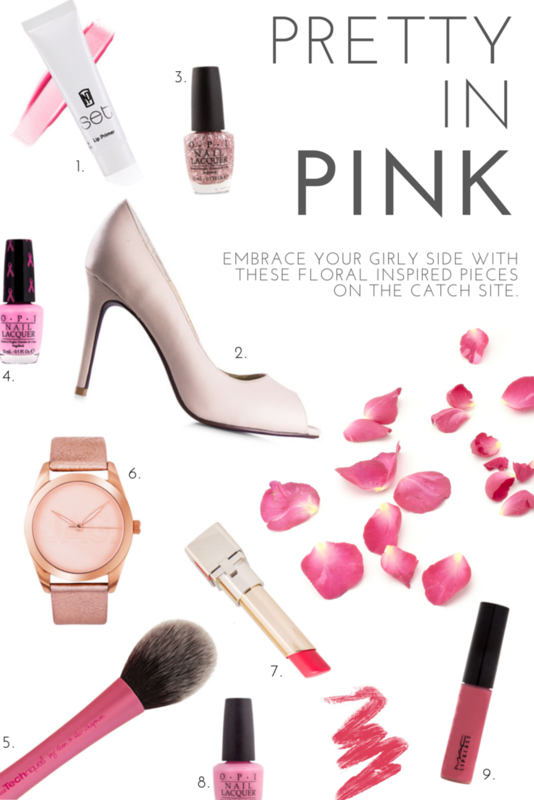 Grab some pretty in pink glam to show off your girly side! Head over to our Pink Pinterest Board for some sweet pink inspiration!